A Shepherd's Heart: You Inspire Others! I wanted to simply take a moment and remind you that you should never underestimate the impact you have on and in the lives of others whether in "big" or "small" ways. You probably already are or have helped people not give up but you don't know it because they haven't told you yet! Keep pressing forward! You are an inspiration! You are making a difference in this world! Let's help each other not give up! 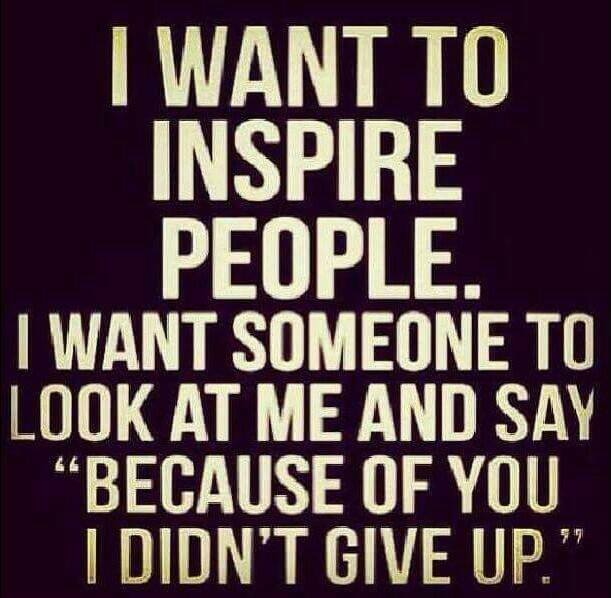 Let's be an inspiration to those around us as we just may be the one on a given day that helps them...not give up! 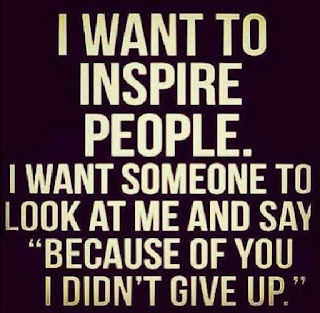 THANK YOU...to those who have helped me...Not Give Up!